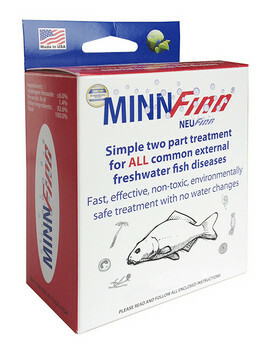 MinnFinn Regular with NeuFinn NeutralizerTreats 2,240 Gallons of Pond Water. Control of Protozoal Parasites; eg. Trichodina and Chilodonella in ONE treatment and Costa in TWO to ...THREE treatments.